How many calories in Spinach? See below, the Spinach calories for the different serving sizes. We provide you with the Spinach nutrition facts and the health benefits of Spinach to help you to lose weight and eat a healthy diet. This edible green leaved plant was originally from Asia. This vegetable is bursting with nutritious goodness. It provides an excellent source of vitamins A, B9 (folate or folic acid), C, E and K. Also as you’d expect from a certain famous popular television programme, it is high in iron and also a good source of calcium and lutein. Minerals include selenium, zinc and manganese but there are many more. Lutein is a carotenoid, and is believed to protect against age related macular degeneration which can affect our eyesight. Given this vegetable’s high flavonoid and carotenoid content, it is believed to have both anti-cancer and anti-inflammatory benefits. Other Spinach benefits include maintaining good bone health. Below we provide two calorie tables showing the calorie content for both raw and cooked Spinach. In addition we have a nutrition table. 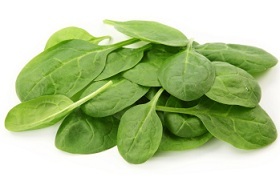 Compare the nutrition and calories in Spinach with the other vegetable varieties. This delicious frittata recipe takes only 20 min to cook and provides 200 calories and 3g of net carbs. It is a good source of vitamin A, vitamin C, folate, iron, riboflavin, magnesium and manganese. Also, it is high in fiber, protein, calcium and low in GI. This tasty gourmet spinach soup takes just 20 min to make. It is full of nutrients such as vitamin A, C, folate and manganese. There are only 106 kcal and 4g of net carbs in one serving. 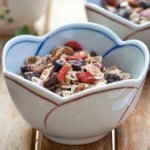 The recipe is low in fat, cholesterol, carbs and high in fiber. This Indian lamb curry recipe will be a hit with all your family. One serving contains 326 calories. Preparation and cooking time is 1 hour 10 min. The recipe bursts with good nutrition. It is diabetes appropriate, low in carbs, GI, calories, sodium and is high in fiber, potassium, protein. Is Your BMI in a Healthy Range?